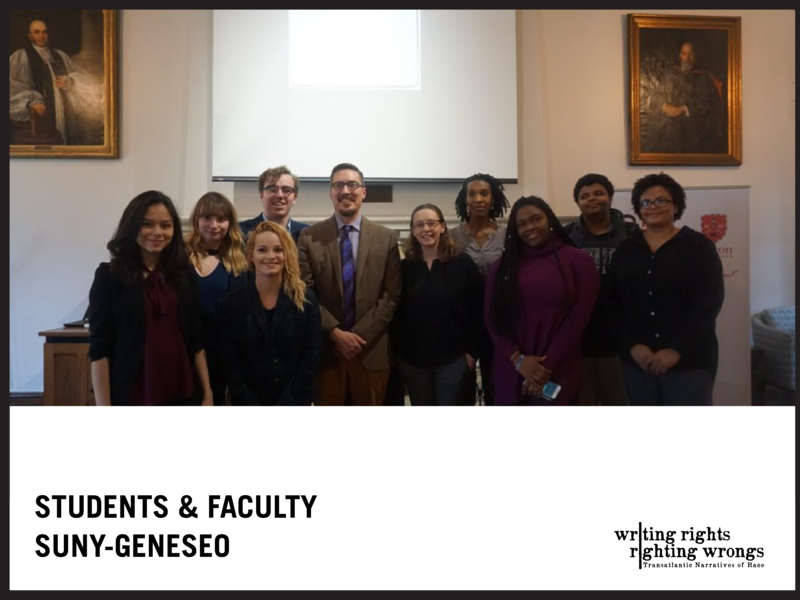 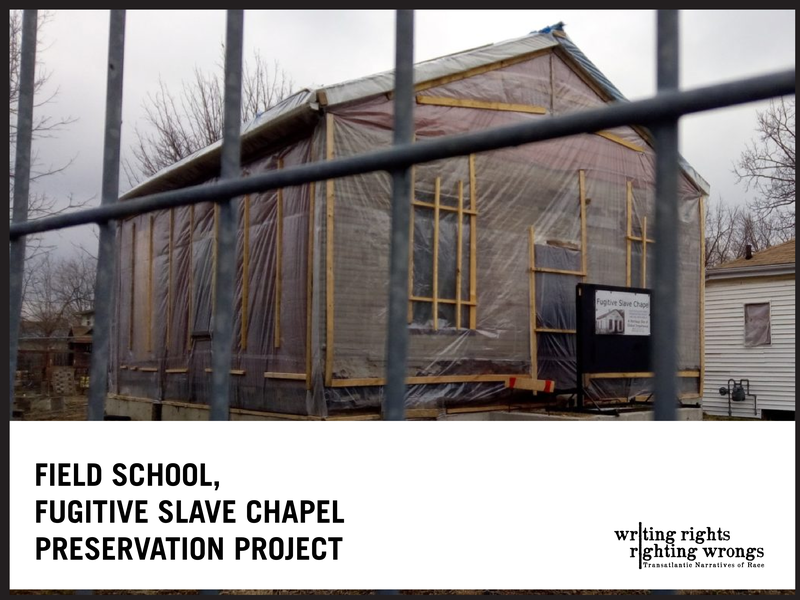 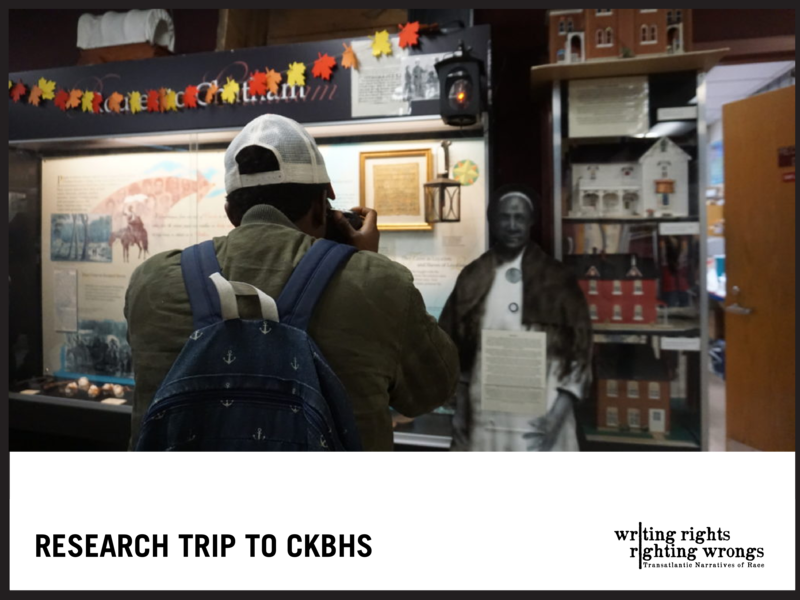 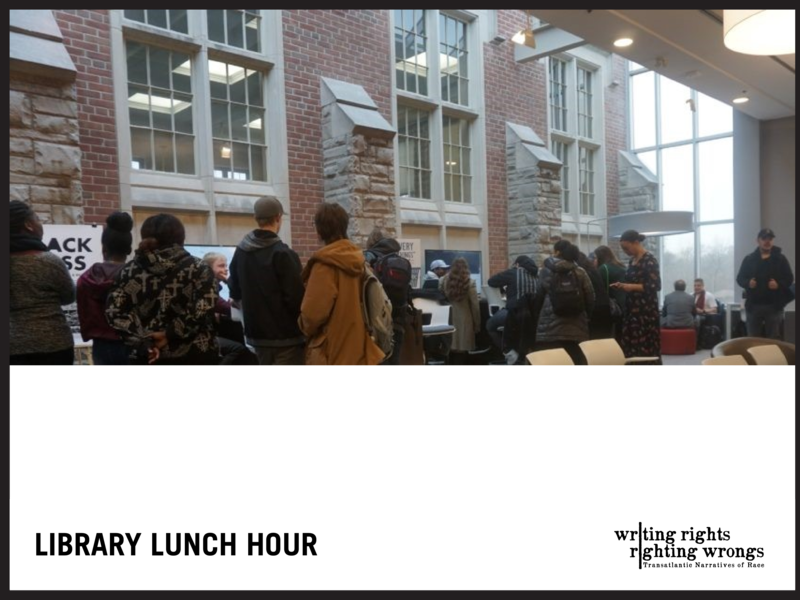 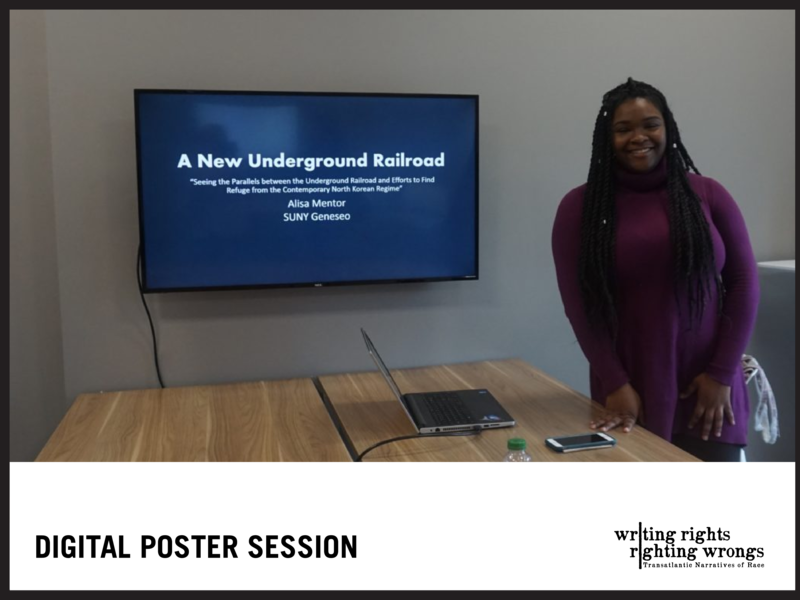 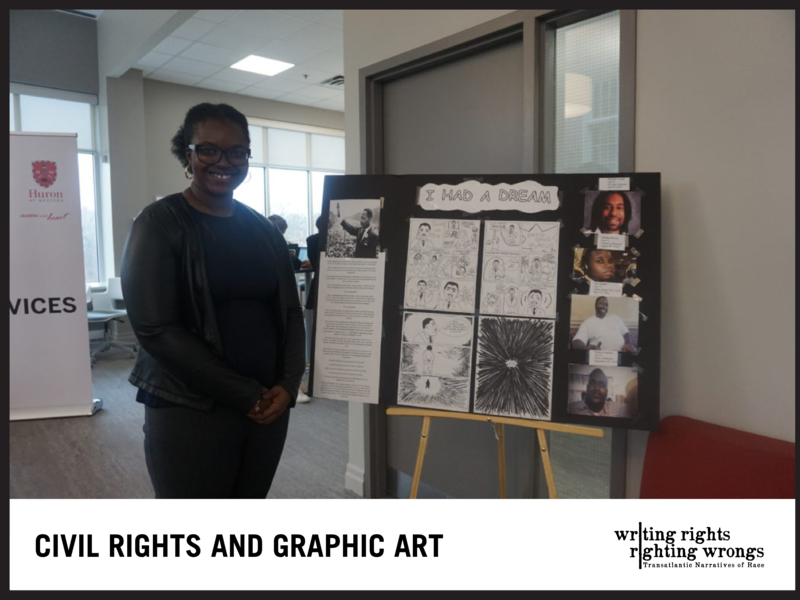 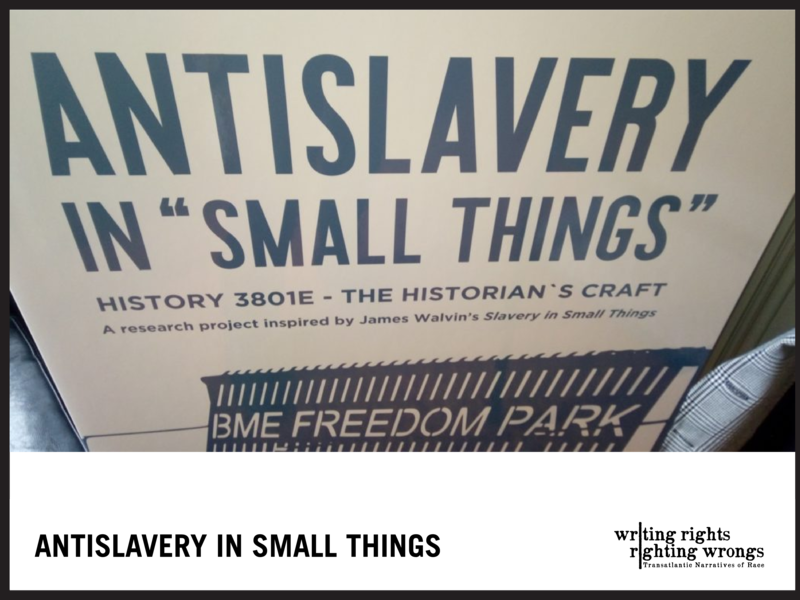 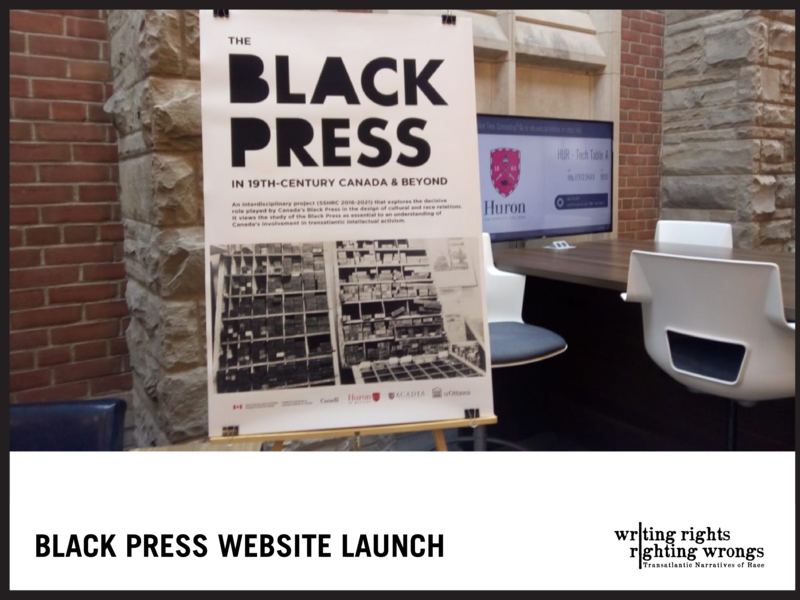 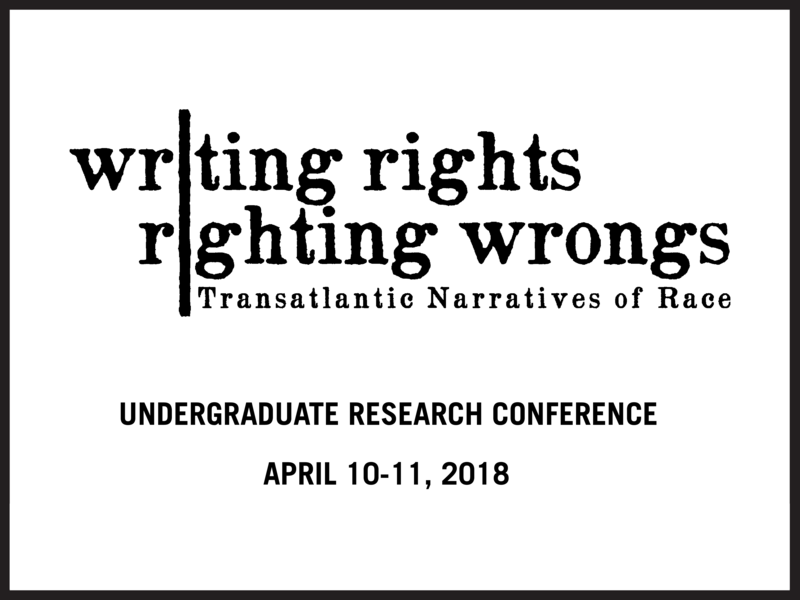 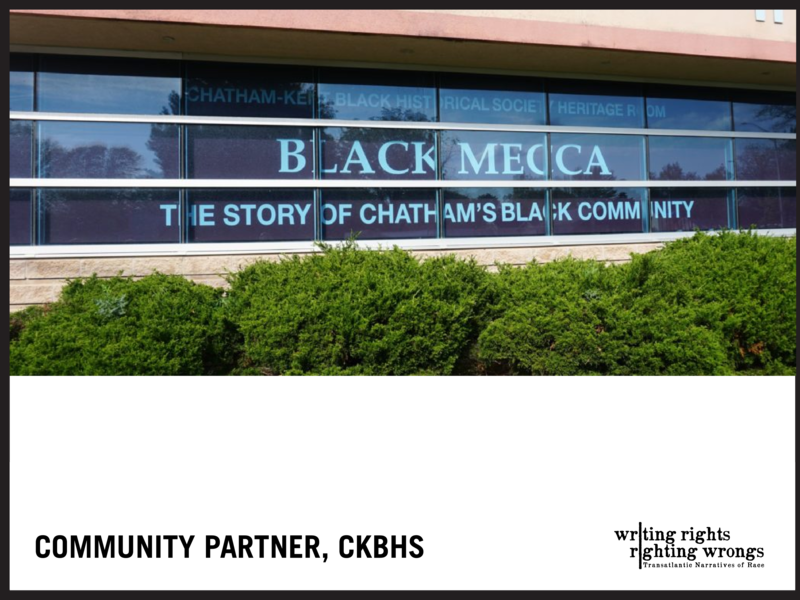 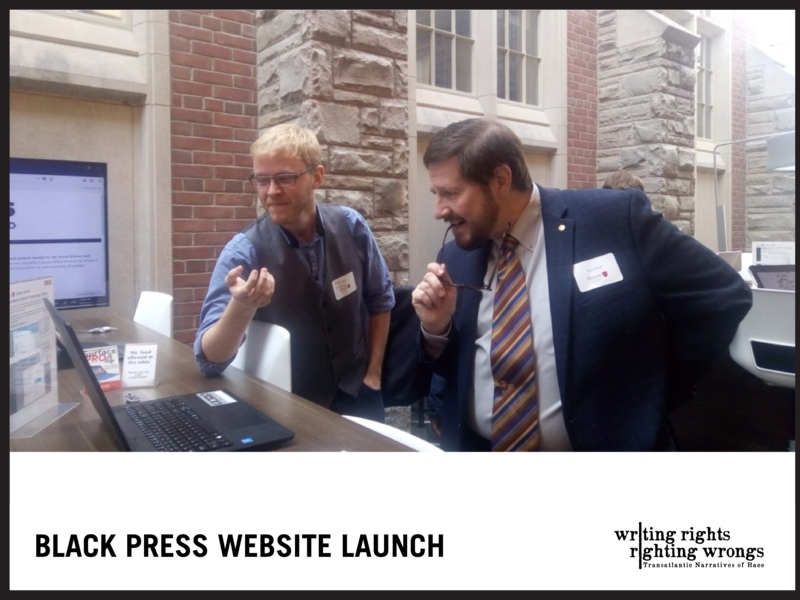 Writing Rights, Righting Wrongs: Transatlantic Narratives of Race was an interdisciplinary conference showcasing undergraduate research on racial slavery, narratives of race, antislavery resistance, and civil rights. 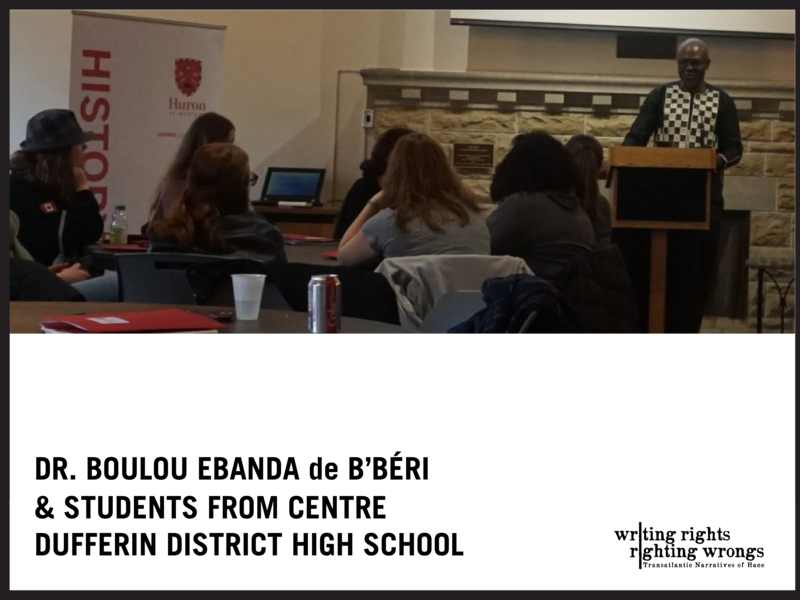 The conference focused on the regional culture of the Great Lakes and its links to the wider currents of the Atlantic world. 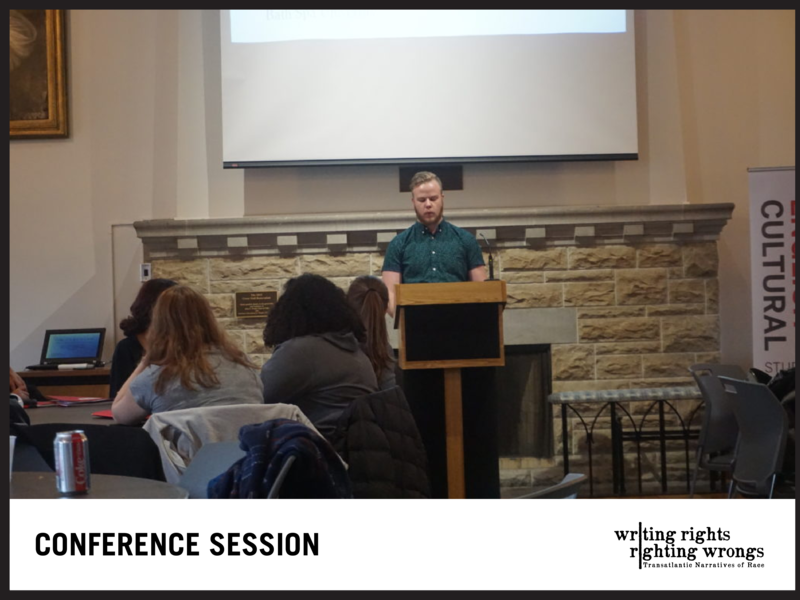 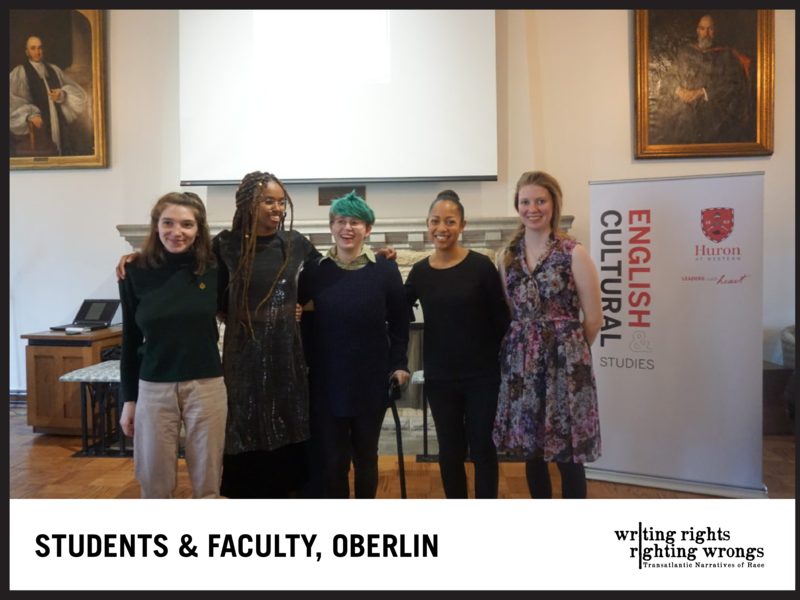 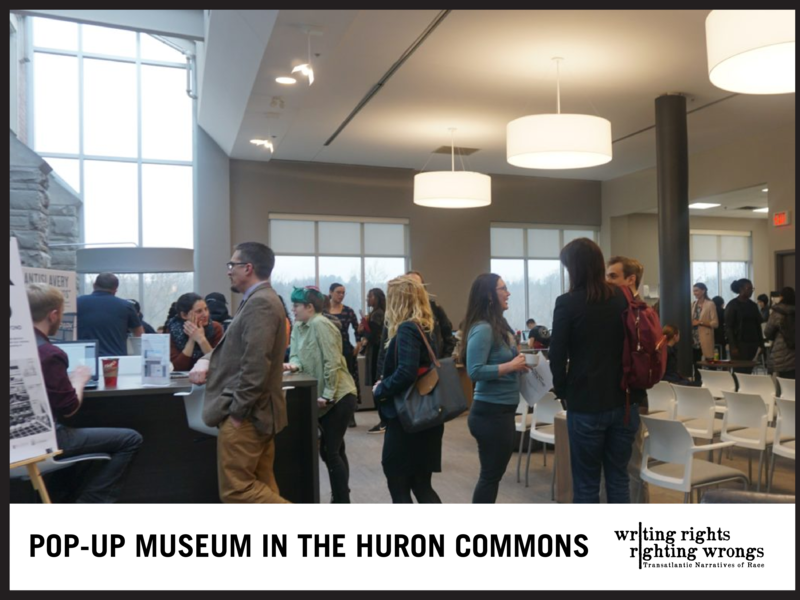 In keeping with the theme of crossborder and transatlantic perspectives, the conference featured original research papers and presentations from undergraduate students representing Bath Spa University, Huron, Oberlin College, and SUNY-Geneseo. 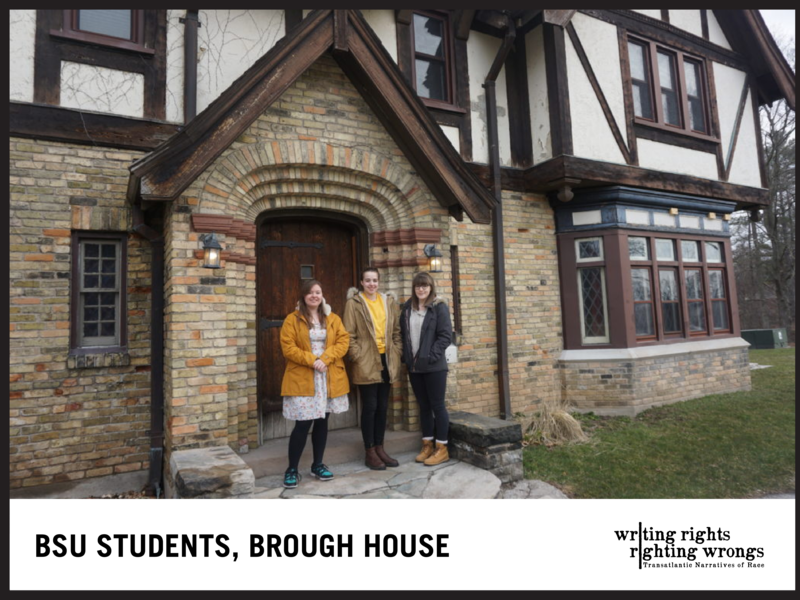 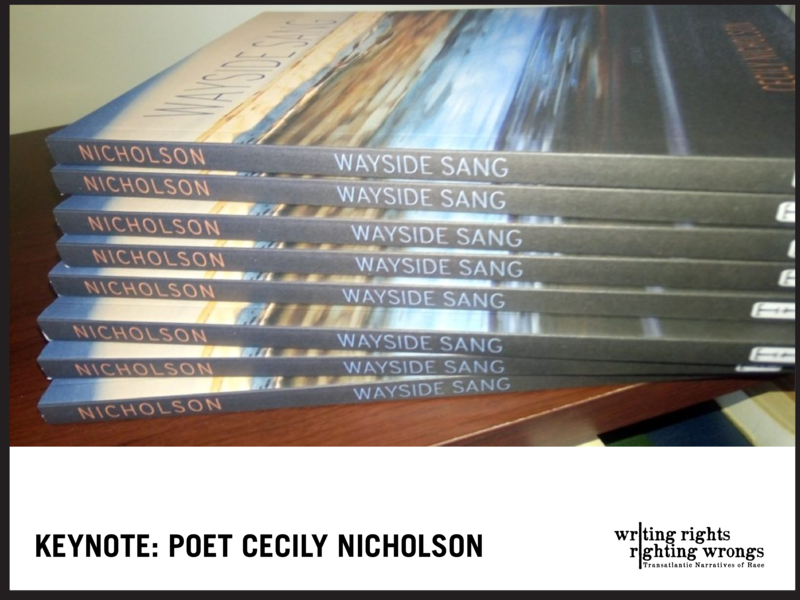 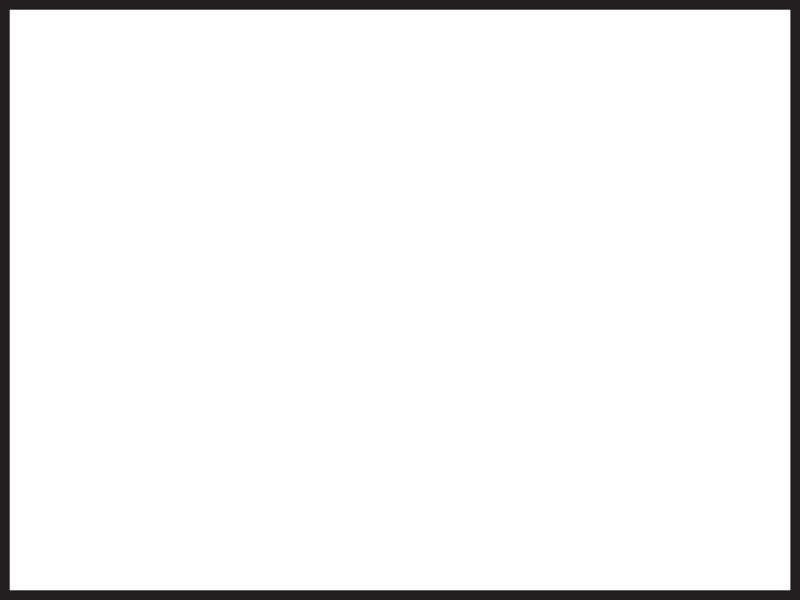 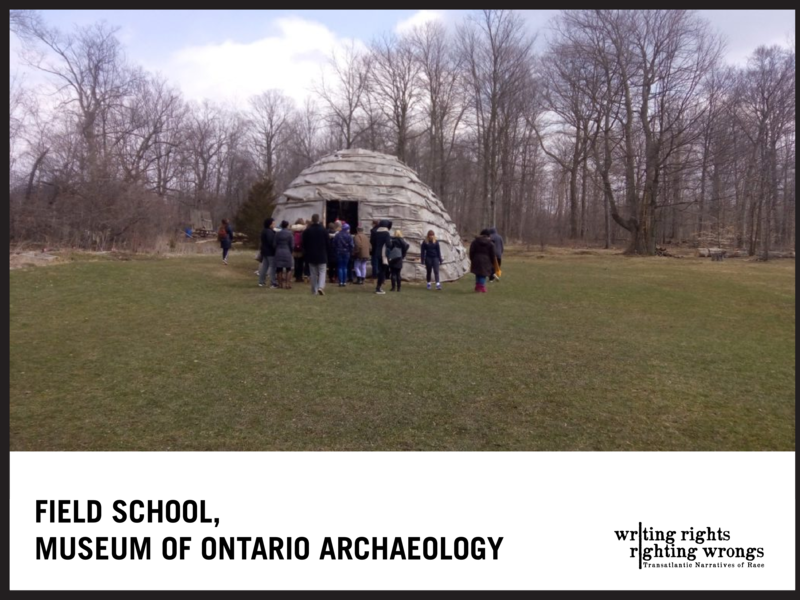 Writing Rights, Righting Wrongs is part of the wider Phantoms undergraduate research collaboration.